. Published on July 16, 2018 . Simon Sinek is a best-selling author, motivational speaker, ethnographer and founder of “Start With Why”, which is also the title of his first best-selling book. He is perhaps best known for his TEDTalk “How great leaders inspire action”– a top-watched TED with over 37 million views. Fascinated by leaders making a global impact, Sinek studied them and discovered remarkable patterns about how they think, act and communicate. From this he developed a model for inspirational leadership — a “Golden Circle” of defining the “what”, “how” and most importantly the “why” of what they are doing. Sinek believes “when we discover our WHY, we are better able to find clarity and confidence to choose the careers, organizations, communities and relationships that are most likely to inspire us.” And when our actions inspire others, we lead the charge to create a better working world. Leadership is an education and the best leaders think of themselves as students, not teachers. 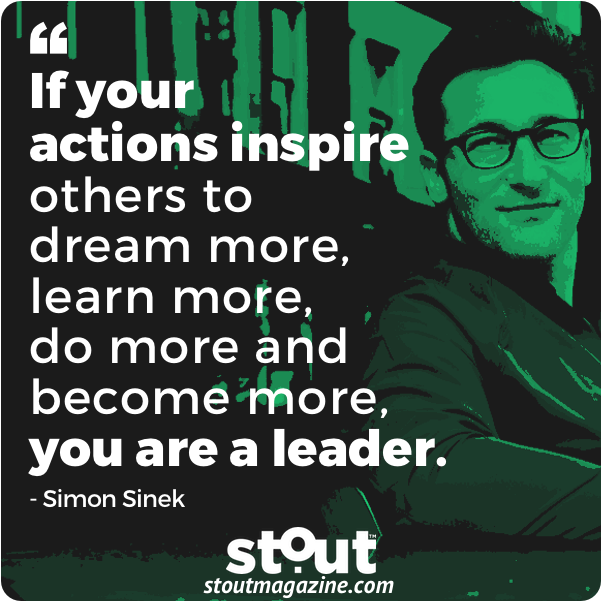 Like Sinek, start by studying leaders who inspire you- see what stout attributes you have in common with top leaders and if patterns emerge. 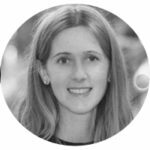 Read a few of our inspiring interviews with stout leaders to get you started. 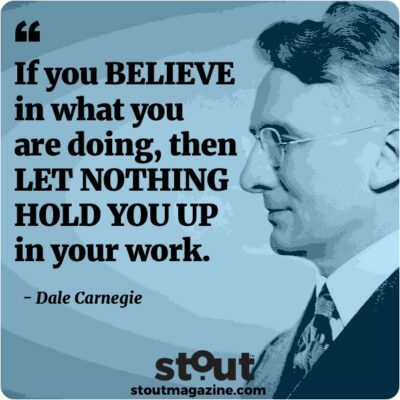 How can you develop your Stout? Cultivate these Stout Attributes every day. 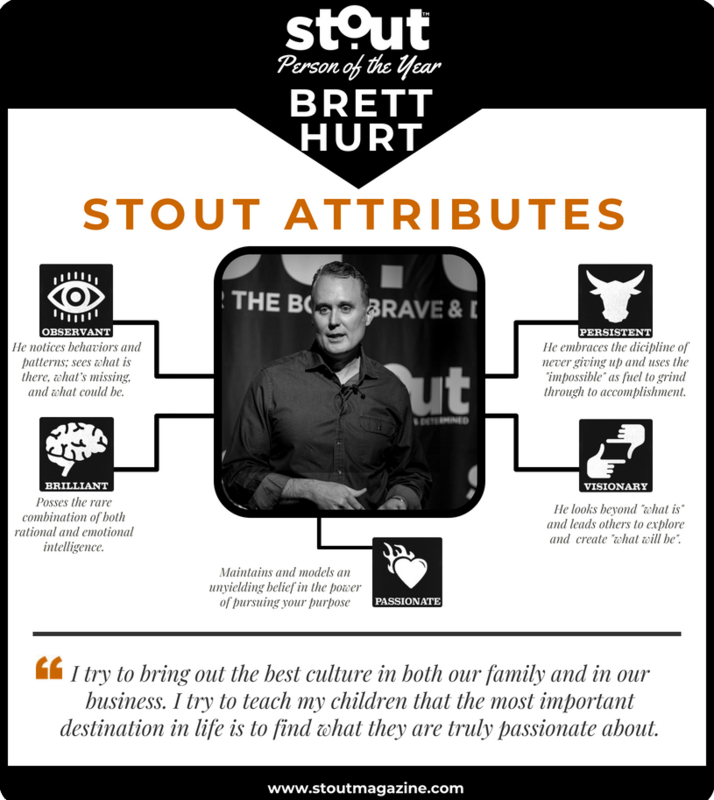 Check out our 2017 Person of the Year Brett Hurt for attribute inspiration. Look inside and really find your core purpose. Use that as a compass to do more of what aligns and less of what is no longer serving you, your clients or your team. Even if you don’t “officially” serve as a leader, you are leading to some degree. Reflect on your accomplishments and those you’ve helped along the way, and challenge yourself to up your game by helping others find their voice and live their why.